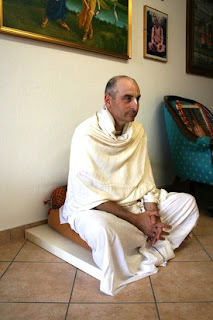 Today we share with all of you news from the Bhakti Yoga Sanga - Gaudiya Vaisnava Ashram - founded by Sriman Valihara das prabhu, and his mission and preaching in Italy. Valihara das is an experienced teacher of bhakti yoga, the yoga of love, and belongs to a line of authentic spiritual masters in the ancient Vedic tradition known as Gaudiya Vaishnavism. 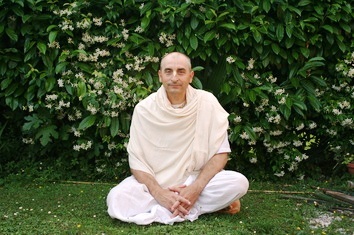 He is the founder of Bhakti Yoga Sanga and for many years taught the science of yoga. Valihara das was born in Milan in 1955. 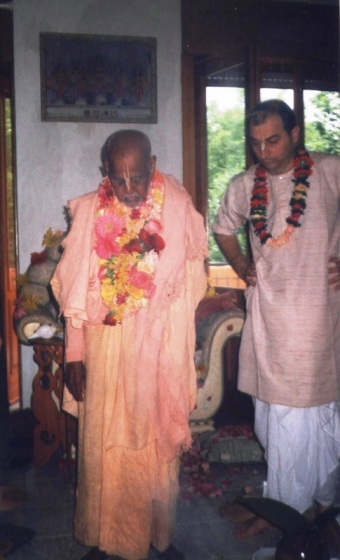 In his youth searching for a spiritual view of reality led him to make contact with Srila AC Bhaktivedanta Swami Prabhupada, who in 1975 accepted him as his disciple and gave him the name of Valihara das. 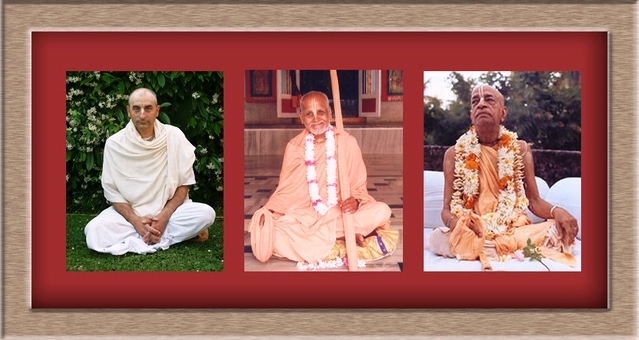 For many years, following the instructions of his master, he undertook to make known the principles of the philosophy of bhakti to a number of people actively participating in the mission founded by his master. In 1993 Valihara das during a trip to Vrindavan, India, met Srila Puri Goswami Maharaja Bhaktivaibhava, great realized soul, the spiritual brother and friend of Srila Prabhupada. Valihara das was impressed by his spiritual depth and became his disciple, receiving from him deep and inspiring spiritual instruction and a strong spiritual determination to spread more and more the message of Sri Chaitanya. At the Bhakti Yoga Sanga blog http://bhaktiyogasanga.blogspot.com/ there are several articles published by Bhakta das which show the preaching activities of Sriman Valihara das prabhu. The ashram is a vital center of spirituality whose members open their hearts to the vision of the Absolute. And 'the place of Divine Love, in which we pray to be able to act in a feeling of neglect under the gentle and careful guidance of the Guru, the divine master. All shares in the ashram like to be considered always active, possessing the heart of the vocation to be the most insignificant. No one is motivated by selfish interest and exploitation, with a growth of artificial and illusory inner life. 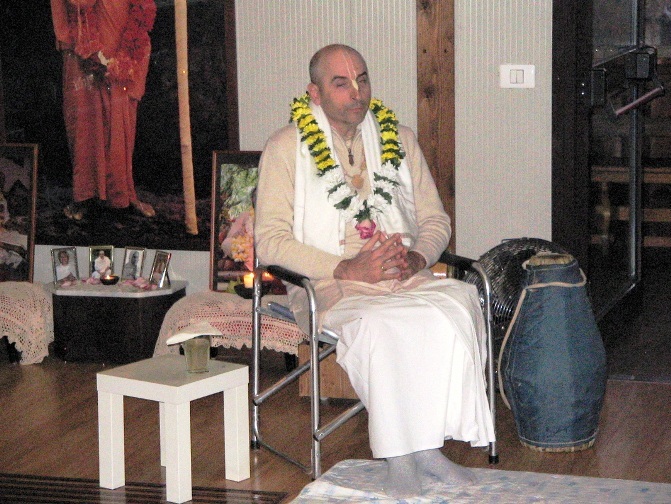 Bhakti Yoga Sanga is an association that aims to introduce the techniques of bhakti yoga according to the teachings of the Vaishnava spiritual tradition, Sri Brahma Madhva Gaudiya Sampradaya. The members of the association, under the loving guidance of a teacher and expert, learn to perceive the spiritual freedom, collaborating and supporting each other in a simple and natural lifestyle.